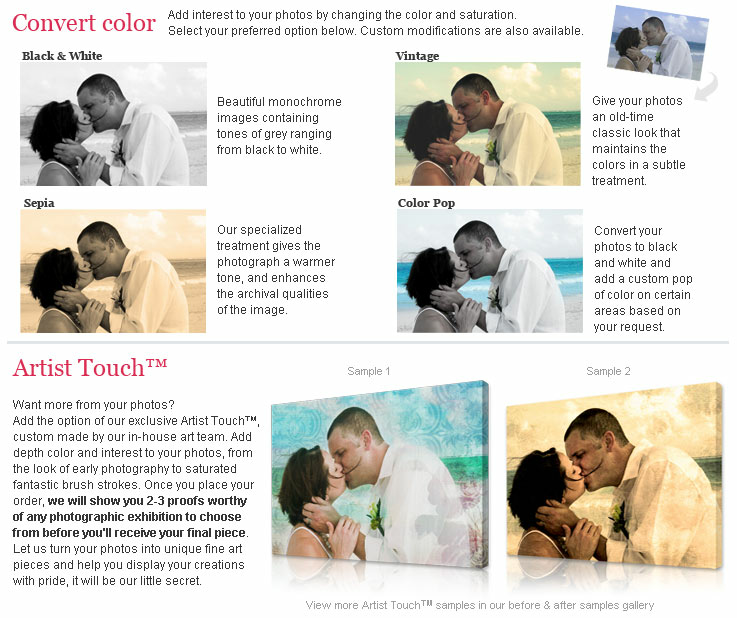 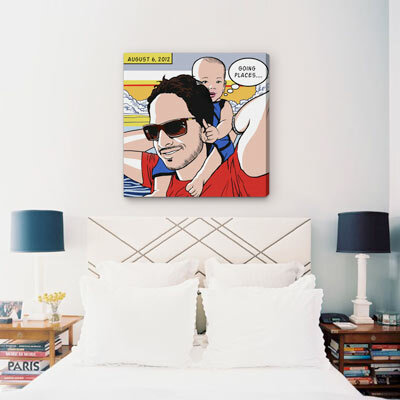 One of a kind pop art comic portraits from photos. 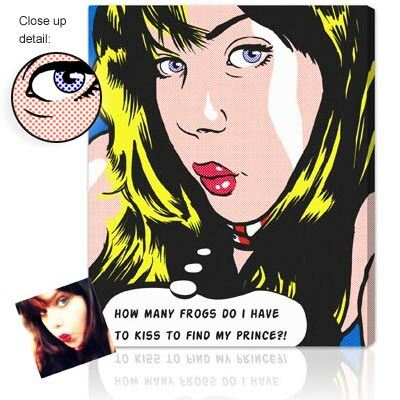 This custom Lichtenstein style pop art will make a great gift for any pop art lover. 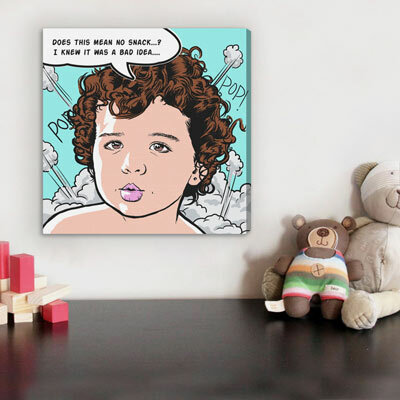 Fun comic art with your personal sayings. 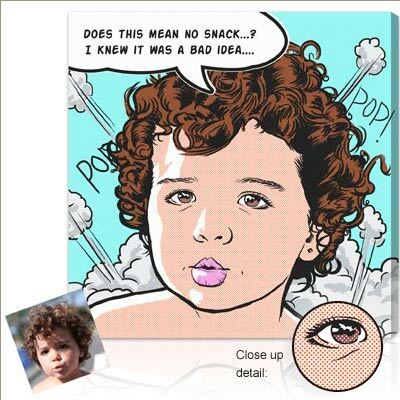 Classic Pop Comic. 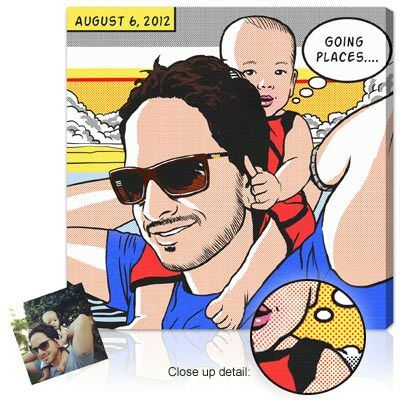 AllPopArt® Lichtenstein style art portrait, hand illustrated from your photos. 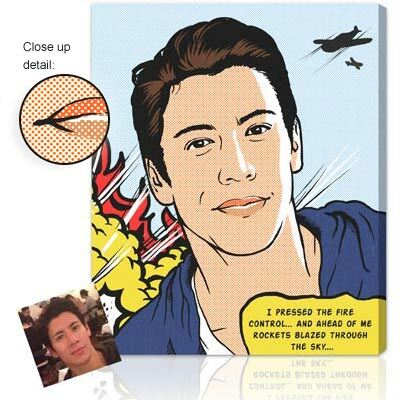 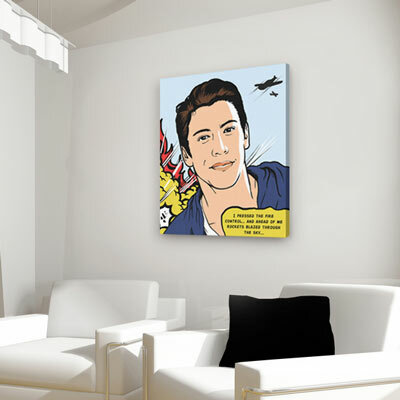 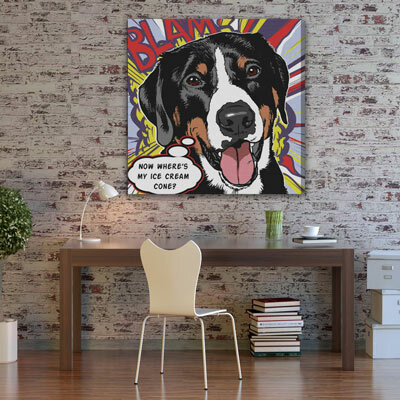 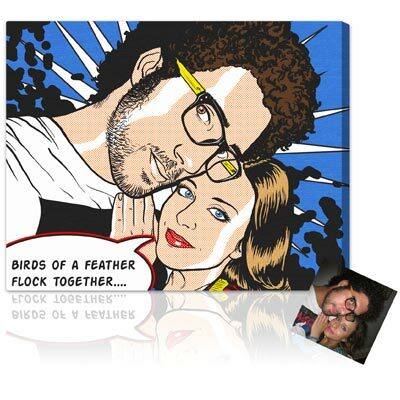 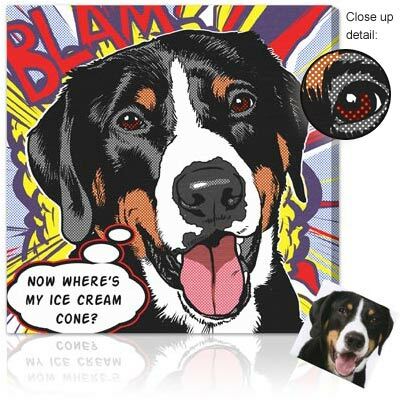 Inspired by master of pop art, Roy Lichtenstein, our hand illustrated, pop art comic portraits are original, fun gifts and great pieces to decorate your walls. 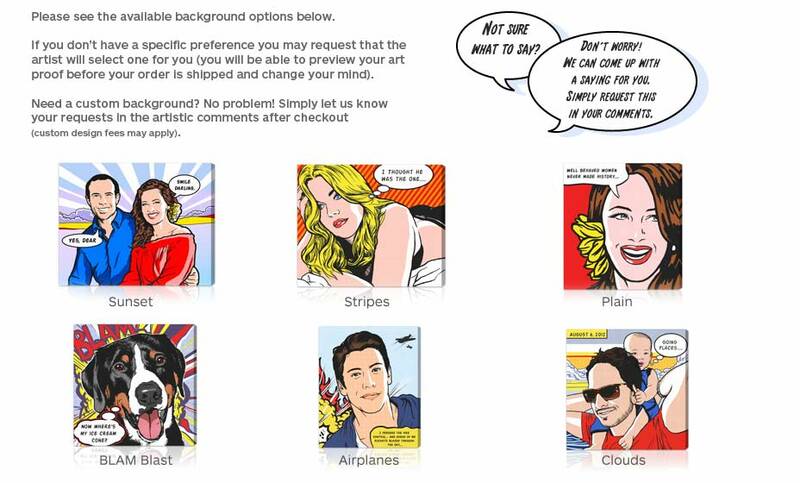 Select from a variety of fun backgrounds for your vintage inspired comic art, or use a custom background from your photo. 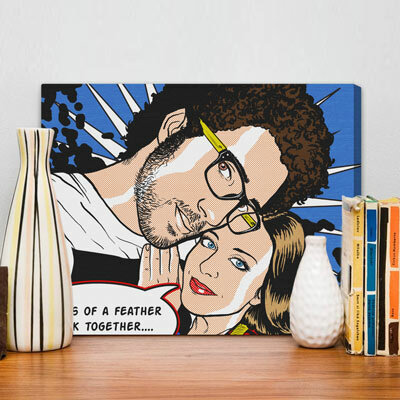 You can also choose to add text bubbles to your custom Lichtenstein art or leave it without any (We can help you with ideas of clever sayings). 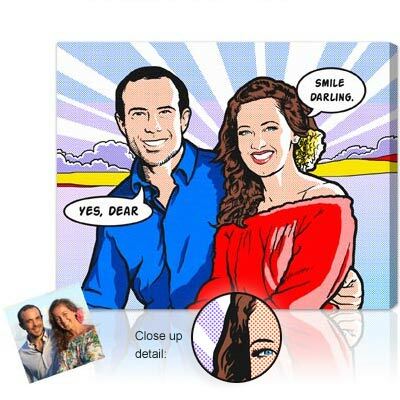 The superior quality of our Classic Pop Comic portraits from photos results from the great attention to detail and the long hours our professional artists spend on each one of a kind piece.